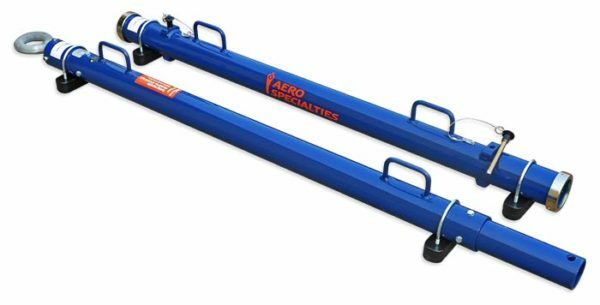 Home > Products > AERO TB1 Fly-Away 2-Piece Multi-Head Towbar, 60,000 lbs. AERO TB1 Fly-Away 2-Piece Multi-Head Towbar, 60,000 lbs. Our heavy-duty TB1 flyaway towbar consists of two (2) 5-foot aluminum sections with a retaining sleeve and additional ball lock pin for assembling the towbar when it is in service. Features a 2.50-inch (6.35 cm) I.D. 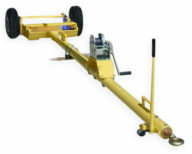 lunette eyelet, shock-absorbing hitch and limited tow-eye rotation for safety and durability. 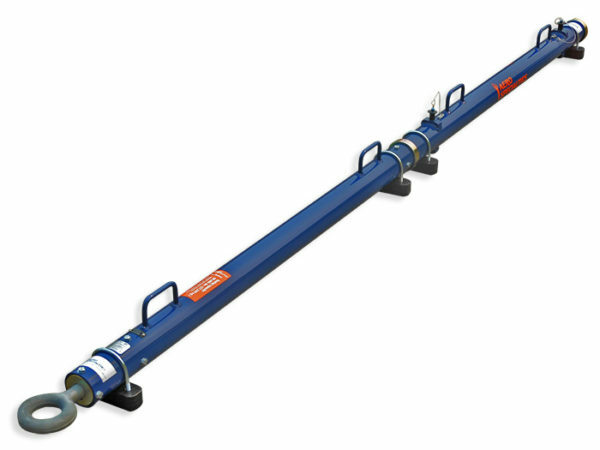 This towbar has a 60,000 lb. (27,215 kg.) 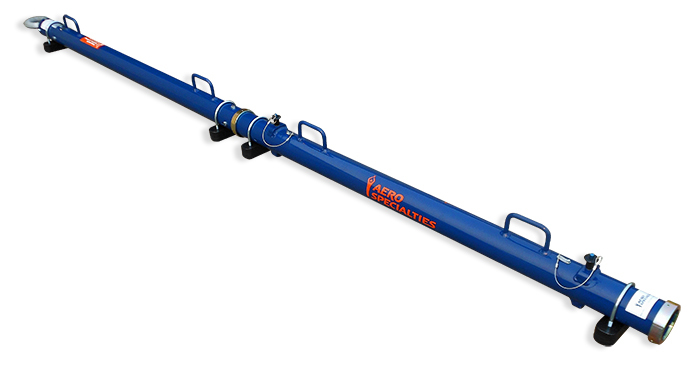 capacity and is compatible with all AERO Specialties towbar heads (except Regional-3R, G500, and Global Express towbar heads). 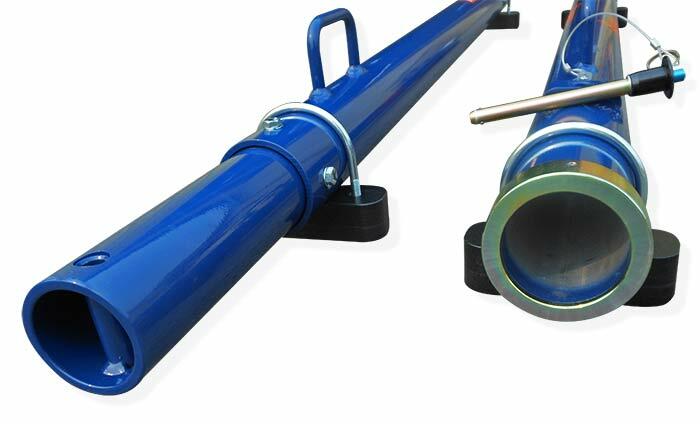 This towbar is also compatible with heads made by Tronair and other manufacturers.